To install drainage matting in your crawl space, trust the professionals at DBS to get the job done right. We are fully trained and certified to carry out work needed, and we always utilize the best tools for the job. We offer free estimates in Duluth Superior Area and nearby cities! In need of crawl space repairs? We offer a wide range of warrantied products designed specifically for the crawl space. 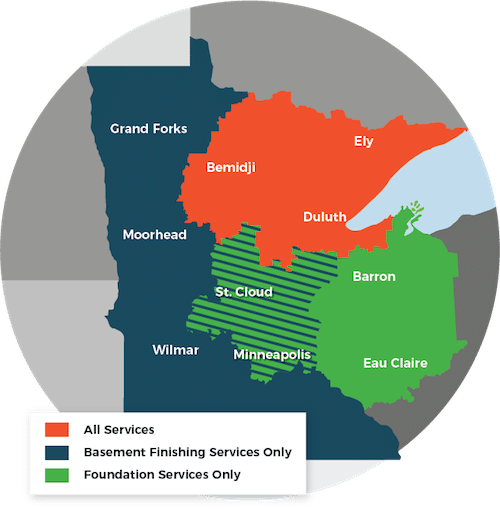 DBS services Proctor, Hibbing, Grand Rapids, Eveleth, Eau Claire, Bemidji, Hayward and many nearby areas in Minnesota and Wisconsin - call for a free estimate today!